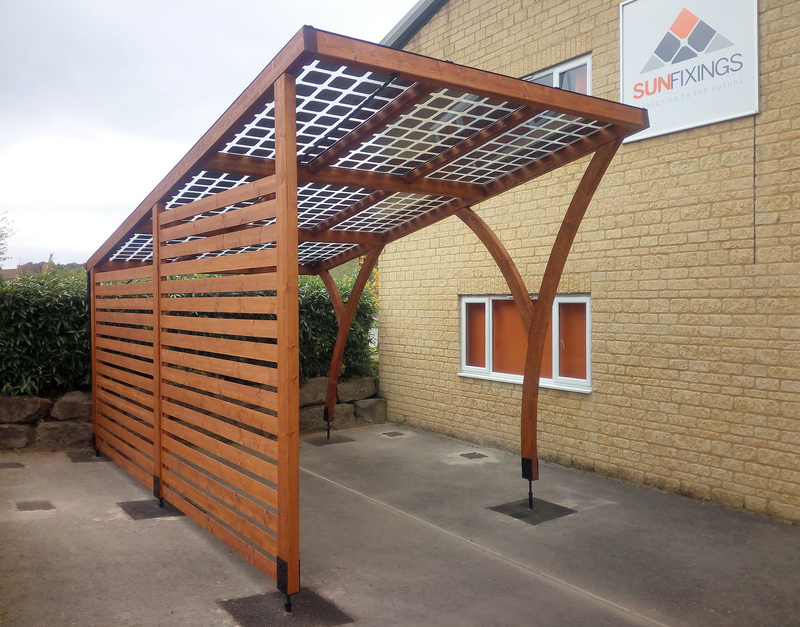 Sunfixings has been developing solar canopy and carport solutions for over 3 years and wished to showcase the solar carport technology. 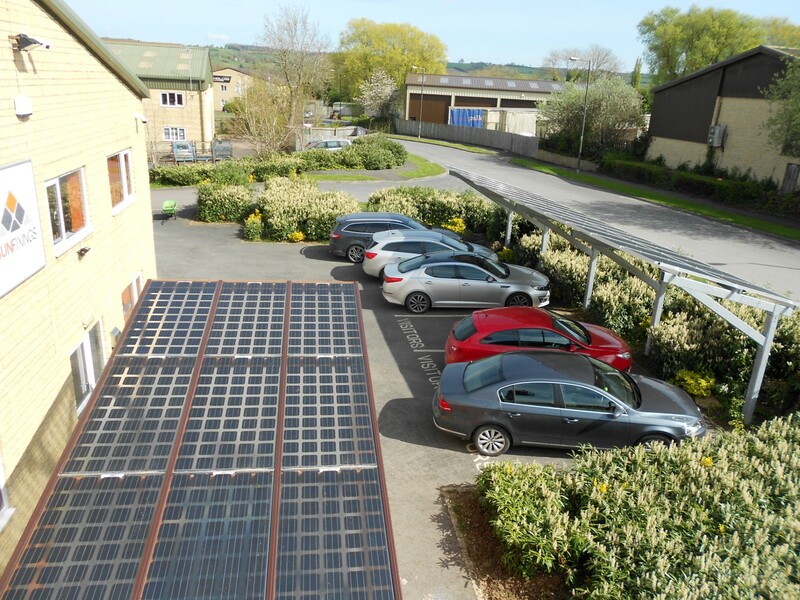 What better way to showcase the potential of the technology by installing them at our company head office, to work around the technology day in day out, wind, rain or sun so that we could ensure that our products are fit for purpose! 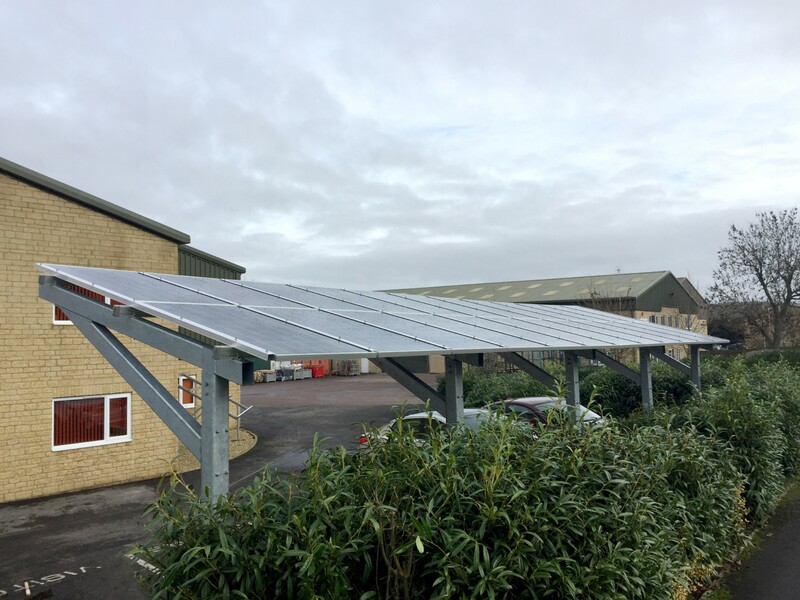 To date, we have installed a solar canopy, consisting of 24 x JA Solar 270W modules, with embedded SolarEdge optimisers feeding the power generated back into our business. We also monitor the site consumption through a SolarEdge Modbus meter, so that we can determine the flow of energy in and out of the business, providing us with further insight into how we use power as a business. 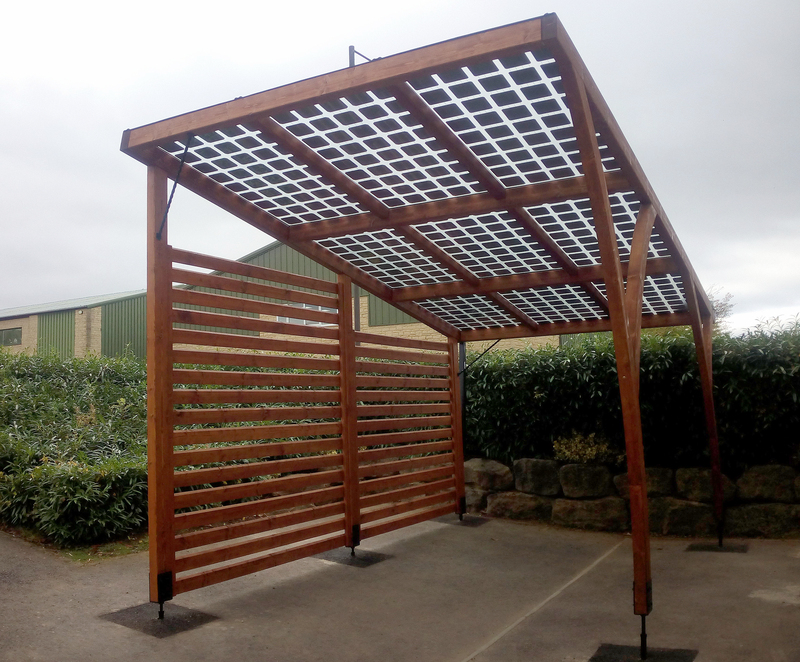 The second carport is a wooden structure, with double sided glass modules, that allow light to shine between the solar cells, allowing natural light into the carparking bay below. These 9 x glass/glass modules are again rated at 270W, feeding the generated power into a string inverter and again this energy is fed into our business to reduce our grid consumption. With two hybrid vehicles in our fleet so far and we are looking at ways of reducing our impact on the environment as well as reducing our energy costs.